… On the design page. Here you will choose your wristband style (if you haven’t already) and then select colors, enter you messaging, upload any artwork you may have and enter in design notes for us to be aware of. 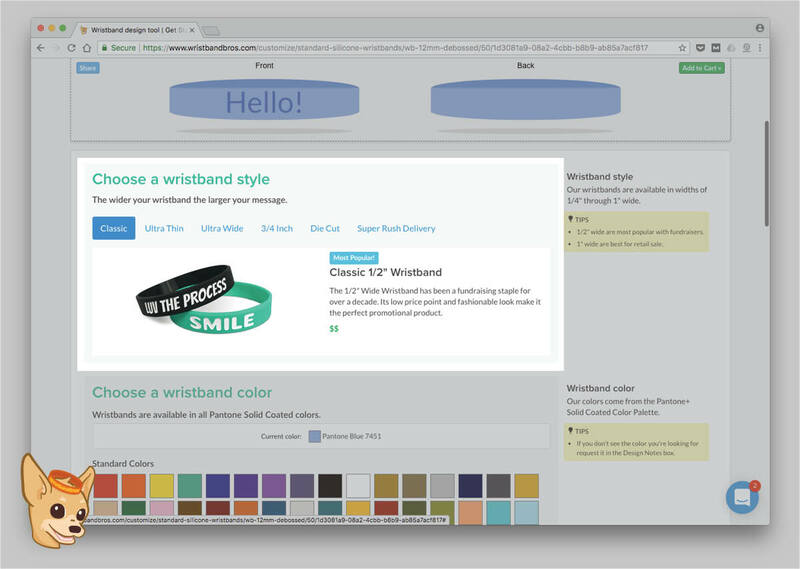 You may have already selected your product style, but if you haven’t, we have a variety of wristband types to choose from. 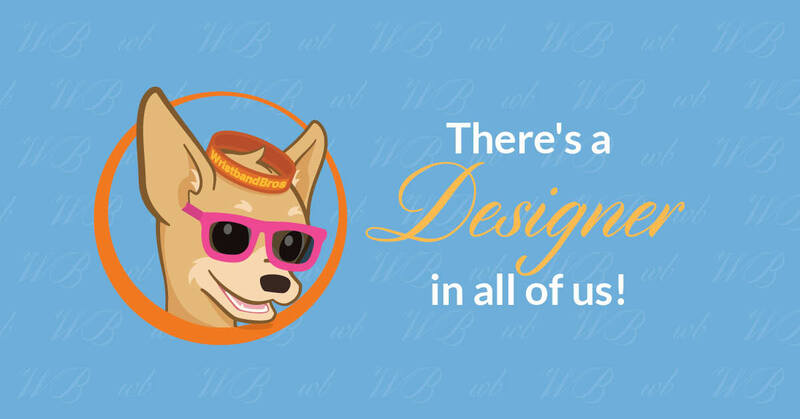 If you’re not sure what to go with, check out some of our favorite designs for inspiration! Time to choose your silicone color. Pro tip: you can either pick from our color options or ask us to match any color you want. To make a custom selection, let us know the color you need in your design notes. Don’t forget to think outside the box! Tell us to take notes! After all the time I’ve spent mentioning notes, here is where you can make your unique requests. Think of the design notes section as your personal pipeline to Leonardo da Silicone. Want us to add in art? 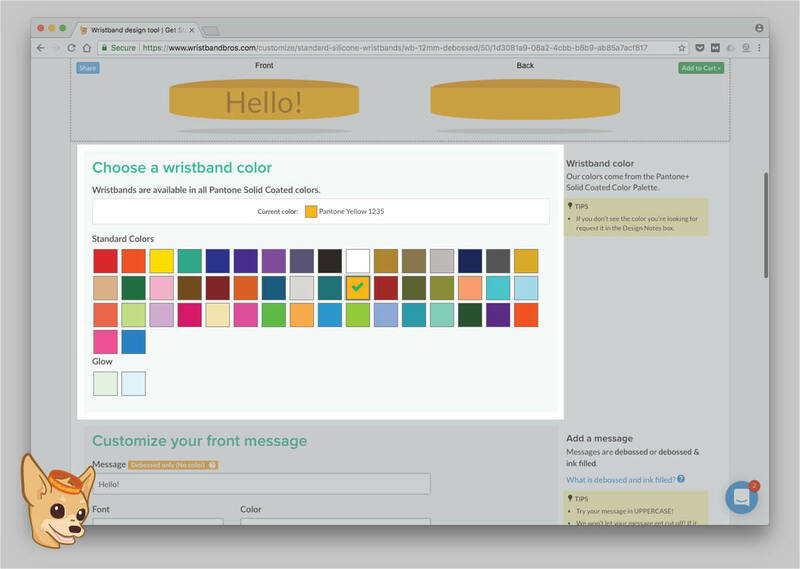 Have specific color requests or details that will help us make your wristband vision a reality? Please don’t be shy, let us know! 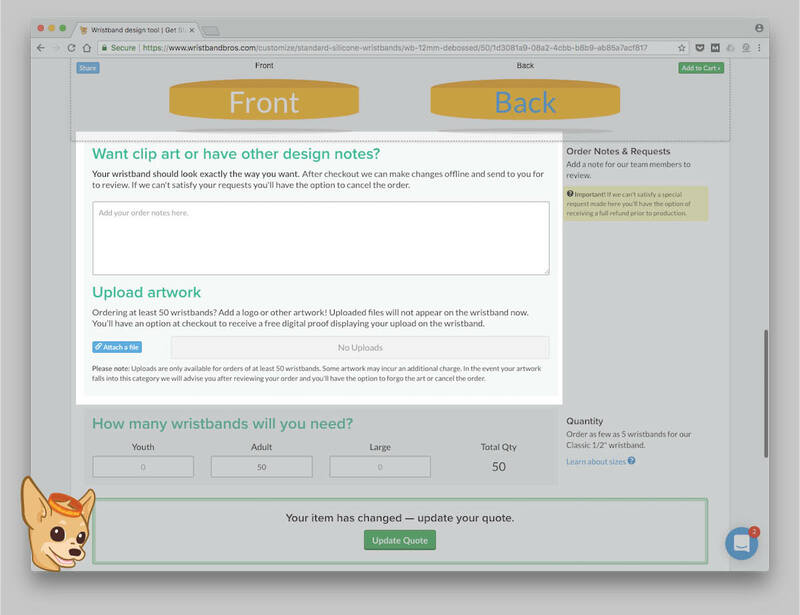 This is also the section where you will be able to upload the custom artwork you want on your wristband (for those who fancy themselves a Vincent van Got-My-Own-Art). Please refer to our artwork guide to ensure that your art will be wristband-friendly. How many wrists do you want to grace? 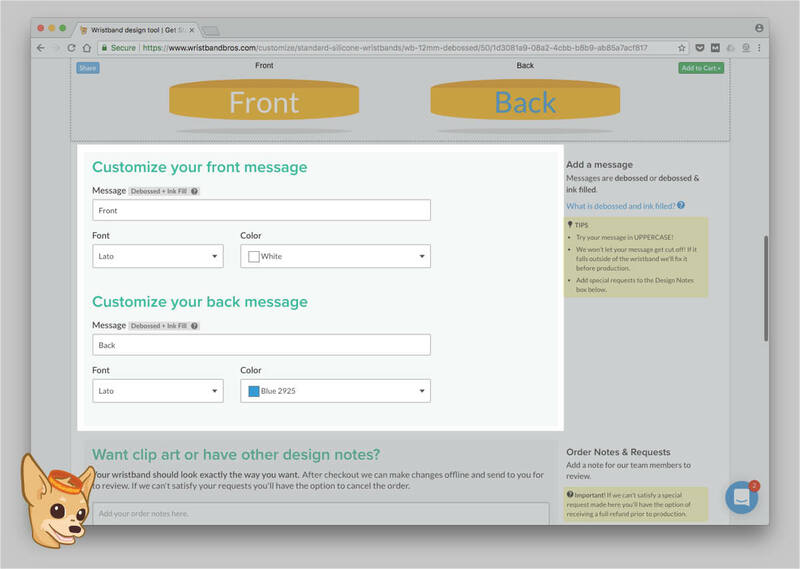 After your design is squared away, you can now choose your quantities. Feel free to play with your quantities to see how the total price reacts! 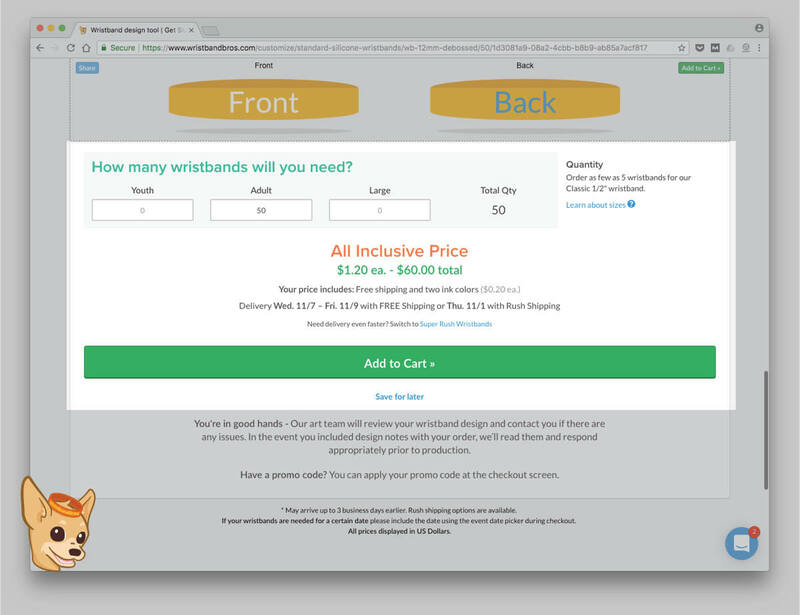 The difference in ordering 500 wristbands and 1,000 might surprise you (in a good way). 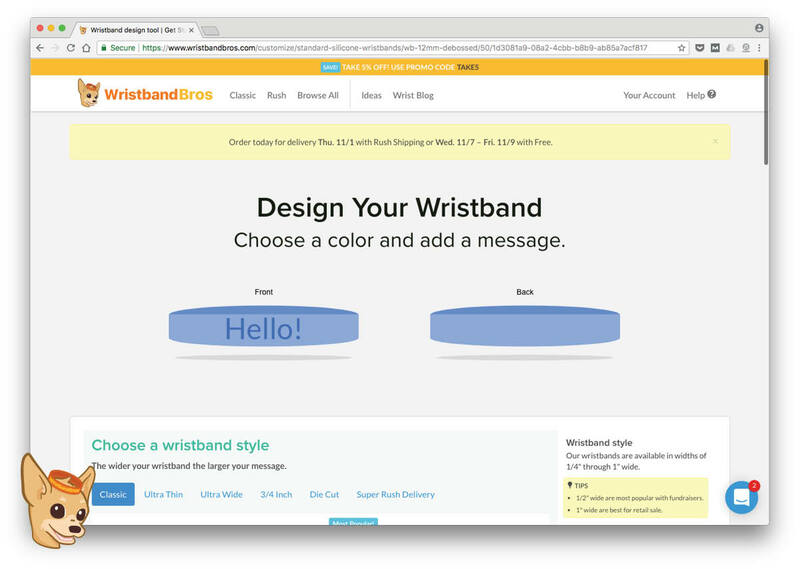 On the next screen you will be able to review your item, choose your shipping method, and start the ordering process. Ready to go? Let us walk you through the checkout process.